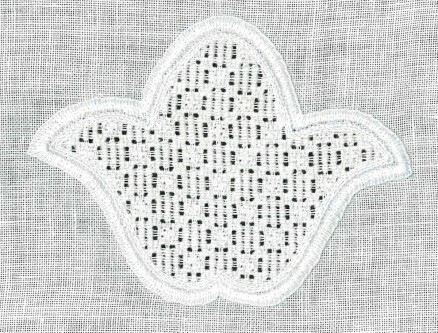 This pattern is very similar to the pattern “472“, but after laundering it gets its own, very special appearance. 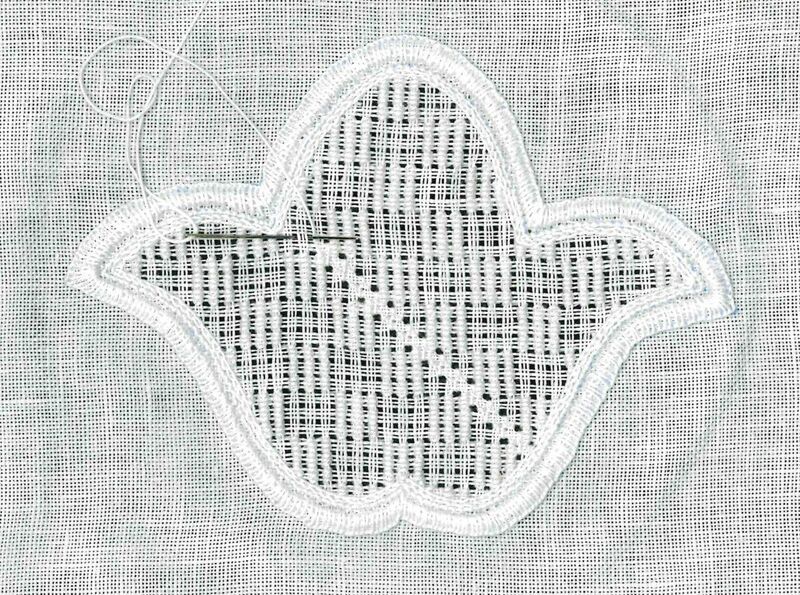 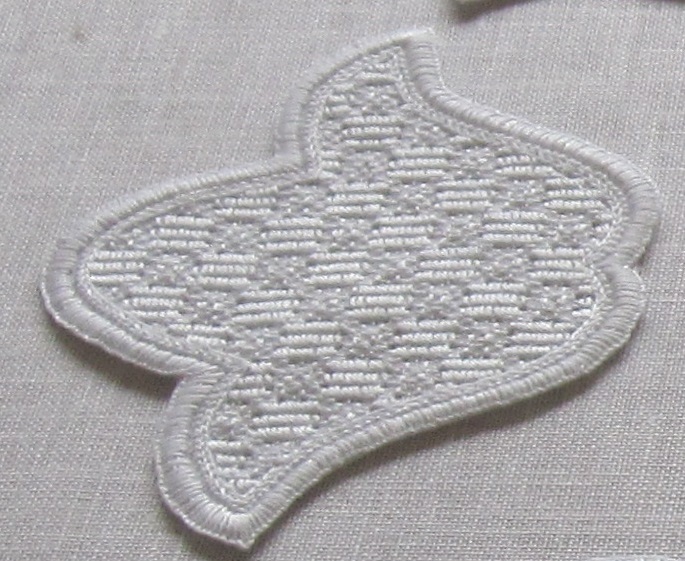 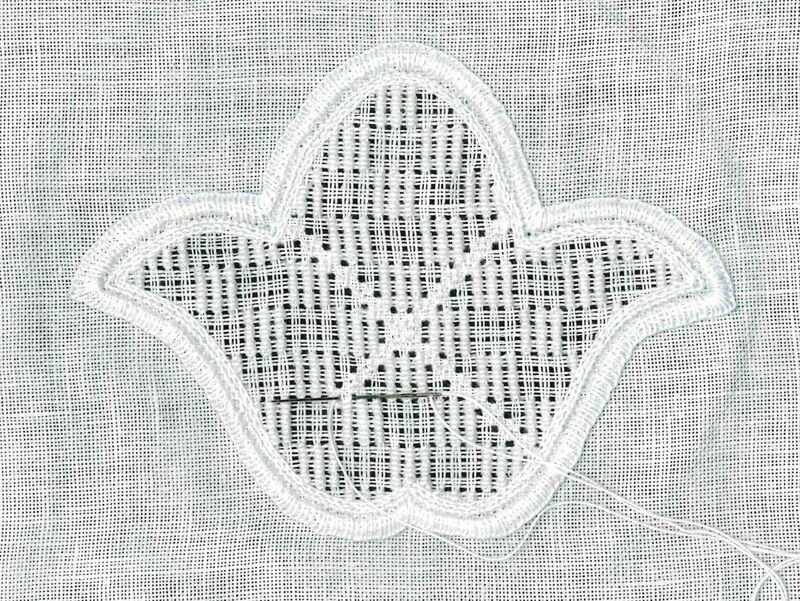 Because the Rose stitches will bundle fabric threads together and because it is difficult to stitch between bundled threads, start with the Satin stitch bars. 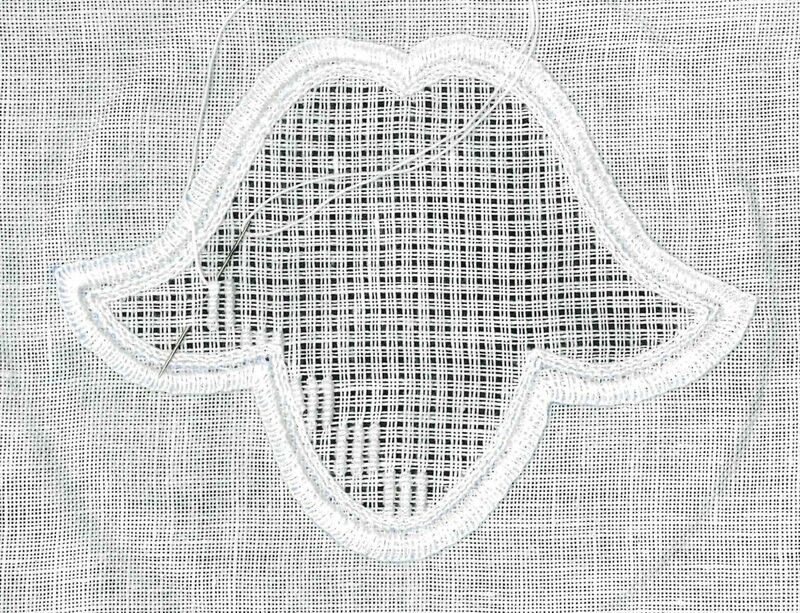 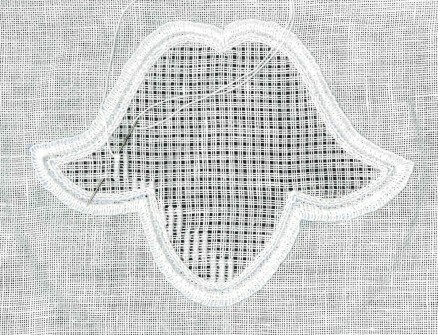 First, in the established Limet grid, work Satin stitches as blocks of three bars consisting of 9 stitches (3 squares) over one square (3 threads). 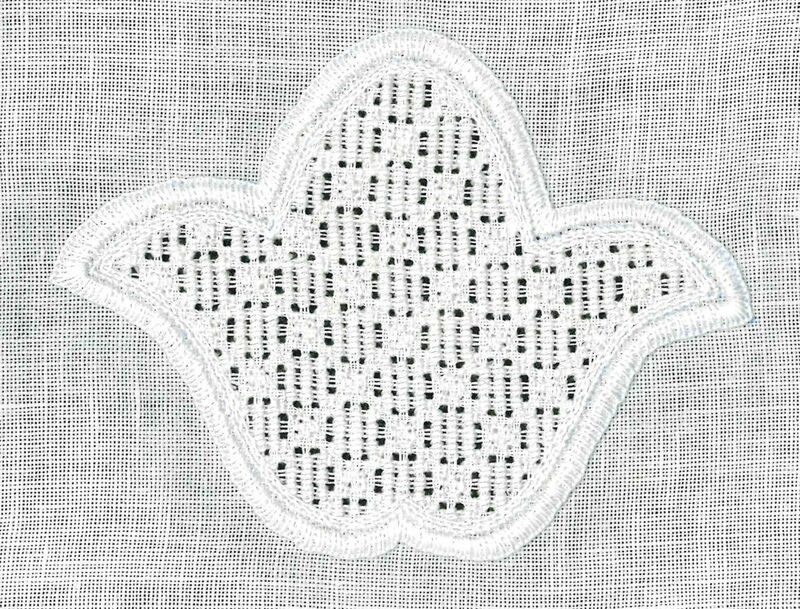 Start at the top middle – so that the pattern can fully develop in the upper part of the motif – working the blocks in a stair-step manner without changing the direction of the stitches with each block. 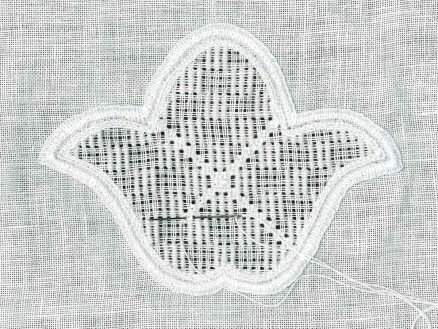 to established a grid of Rose stitches. 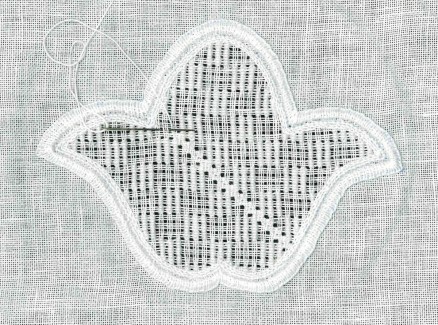 Some Rose stitches will intersect other rows of Rose stitches creating blocks of 2 X 2 Rose stitches. 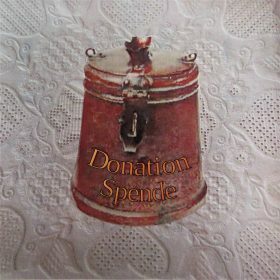 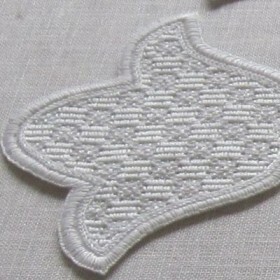 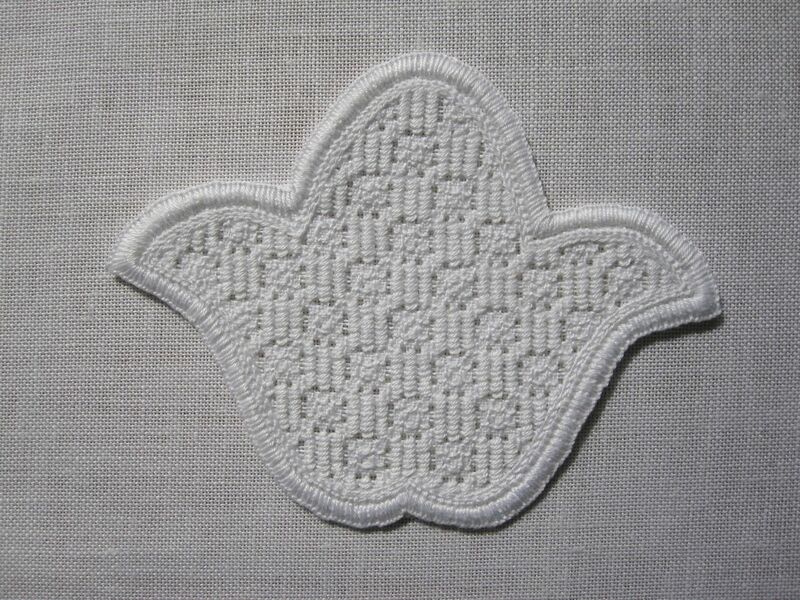 This example was worked on 13.5/cm thread-count linen with Coton à broder No. 20 for both the Satin stitches and the Rose stitches. Especially from the side view the the special appearance of this pattern is seen.